If you want to use Straight Talk's plan on the Verizon network, your phone should ideally support all of the following LTE bands: 2, 4, 5, 13, 66 . Even if your phone does support all of the bands, the phone needs to be approved by Verizon for use on the network. If you want to use Straight Talk's plan on the Sprint network, your phone should ideally support all of the following LTE bands: 25, 26, 41 . Even if your phone does support all of the bands, the phone needs to be approved by Sprint for use on the network. If you want to use Straight Talk's plan on the T-Mobile network, your phone should ideally support all of the following LTE bands: 2, 4, 12, 66, 71 . At a minimum, your phone should support LTE bands 2 and 4. However, band's 12 and 71 help to provide a better signal inside buildings and wider network coverage. 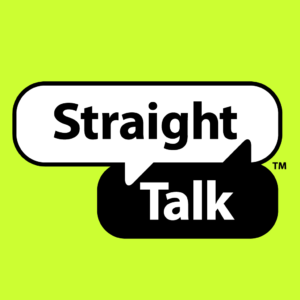 If you want to use Straight Talk's plan on the AT&T network, your phone should ideally support all of the following LTE bands: 2, 4, 5, 12, 14, 17, 29, 30, 40, 66 . At a minimum, your phone should support LTE bands 2,4,5,12 or 2,4,5,17.